Photo of: Midlands of Ireland: Tipperary: Glen of Aherlow: Galtee Mountains. 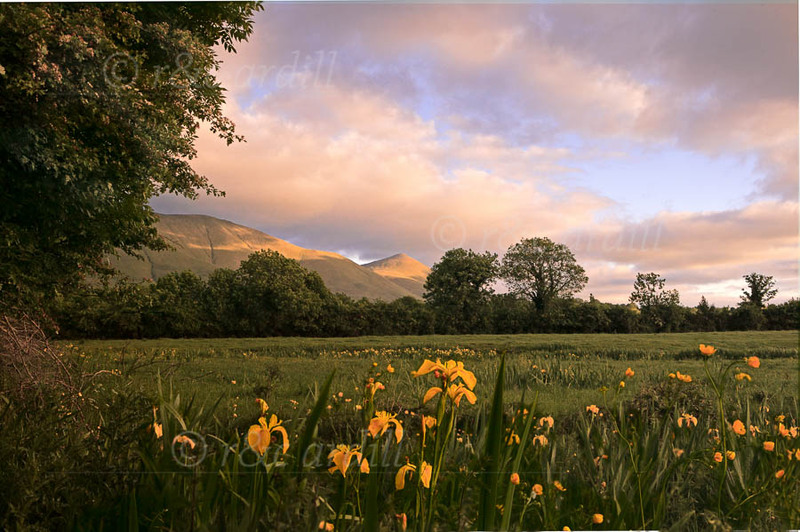 A photograph of yellow flag irises in the Glen of Aherlow. The Galtee Mountains are in the background.